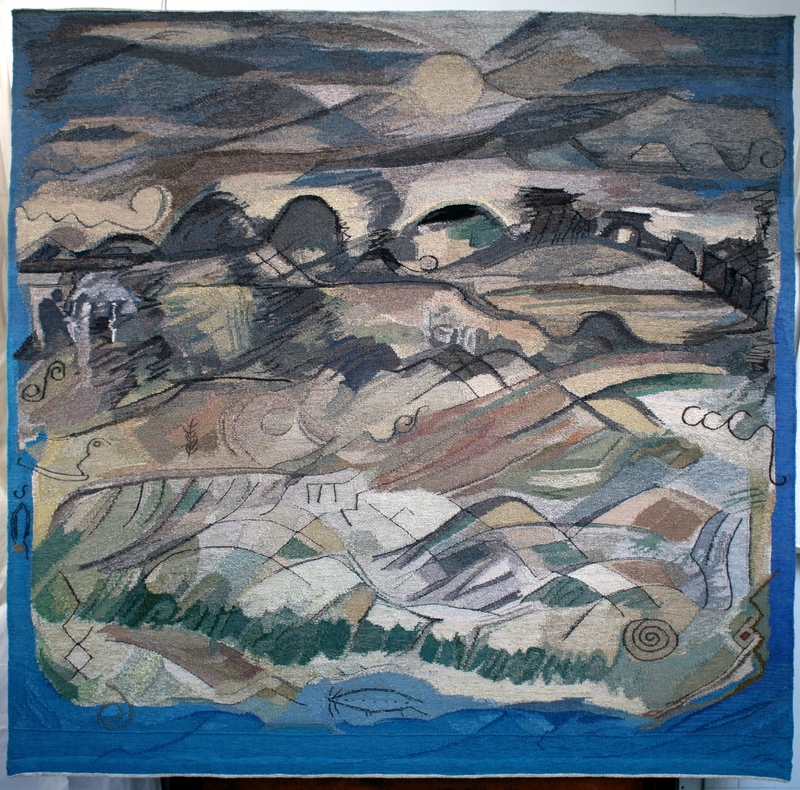 In 1976, the same year that the ATW was established, Brennan also ran a seminal workshop in Victoria that was attended by, amongst others, Kay Lawrence and Cheryl Thornton both of whom have made major contributions to Australian tapestry through their studio practice and teaching. Lawrence’s role in the development of the community tapestry movement in Australia is significant and Thornton’s 30+ years of experience as a weaver at the ATW accounts for the extraordinary level of skill evident in the tapestries being produced there now. 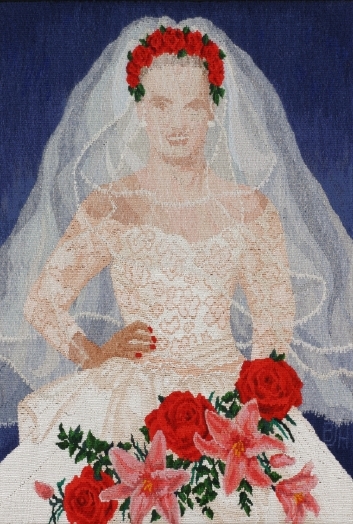 The presence of tapestry in Australia increased dramatically during the 1980’s and 1990’s. The ATW grew from strength to strength, creating monumental tapestries that filled public buildings around the country. Tapestry also gained a respected position within art schools. Driven by the engagement with art theory, conceptual rigour was at the forefront and this was reflected in exhibitions such as Texts from the edge, which toured nationally in 1995. The exhibition was launched at the Jam Factory in Adelaide, South Australia. By this time South Australia, along with Victoria, had gained a reputation for its community tapestries with the movement being as much a rural as an urban phenomenon. 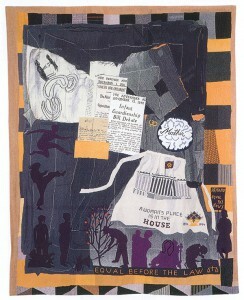 Valerie Kirk and Kay Lawrence led several projects that explored how communities both shape and are shaped by their environment (6), and in 1994 Lawrence had designed two tapestries that were commissioned to mark the centenary of women’s suffrage in South Australia. The Women’s Suffrage Centenary Community Tapestries hang facing each other amongst portraits of former Premiers and Speakers in the House of Assembly Chamber of the South Australian Parliament. Conceived by a bipartisan group of women politicians they were woven in public to mark over one hundred years of ground-breaking legislation in South Australia, which gave women the right to vote and equality before the law. (7) In both tapestries, Votes for Women and Equal before the Law, Lawrence used images of textiles to make reference to women’s public and private lives and to subvert the male dominated space of the Parliament in both their content and form. 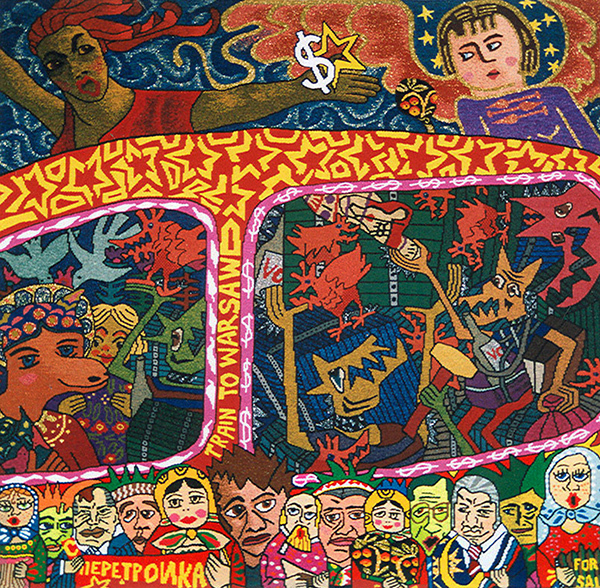 “Equal before the law” 1994, 240 x 192cm. Cotton, wool, linen. Designed by Kay Lawrence. Woven by community weavers. Coordinators: Elaine Gardner and Lucia Pichler. 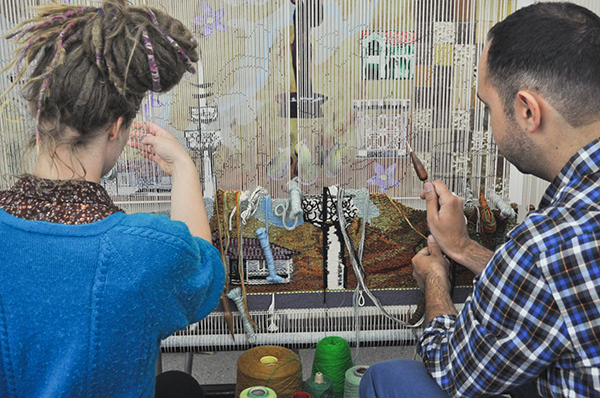 Many of the weavers who have contributed to community tapestries have been students of the off-campus course run by South West TAFE in Warrnambool, regional Victoria. 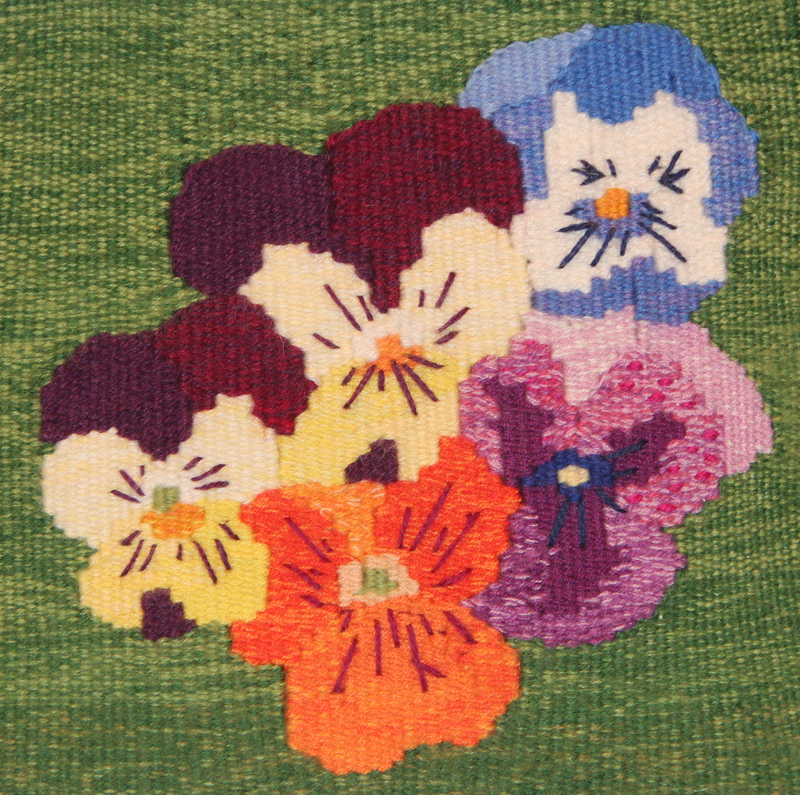 Initially established in 1987 by ATW founder weaver, Marie Cook, this course has provided a thorough training in tapestry design and technique to hundreds of students throughout Australia and New Zealand (plus some from the UK, USA, Canada and Europe), with a significant number spending intensive periods of time at the ATW to refine their skills. Millicent Reed, who completed her studies in 2009, went on to spend a year documenting the subtle changes in her garden on a weekly basis. 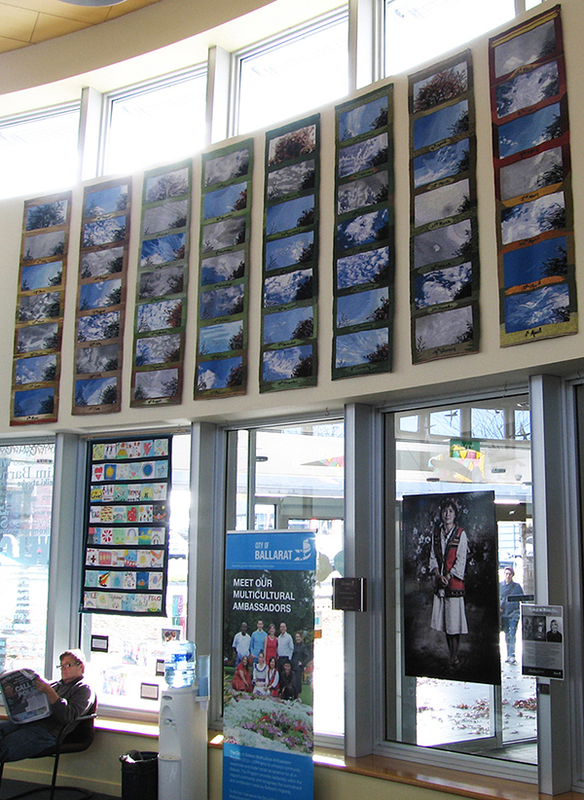 The 52 tapestries, titled Wednesday at 10, now hang in her local library, and are enjoyed by the large, diverse community of Ballarat. Many more TAFE off-campus students are currently joining members of the textile workshop at the Australian National University’s School of Art and the wider community to weave a tapestry celebrating the Centenary of Canberra that will hang in the permanent art collection of the ACT Assembly. The project was conceived by Valerie Kirk to celebrate Canberra’s past, present and future. Canberra textile artist Annie Trevillian was appointed as designer of the tapestry and ANU Textiles graduate Daniel Edwards as Weaving Coordinator. The fresh and informative blog (9) is the responsibility of Al Munro. ‘I think of us working as a team….as our roles cross over and intersect’, says Kirk. Before completing the final tapestry design Trevillian participated in a design workshop, attended by 16 people. This resulted in an image bank being set up for her use and also as a resource for individuals or groups throughout Australia who have been invited to weave small tapestries that will be exhibited alongside the major tapestry. 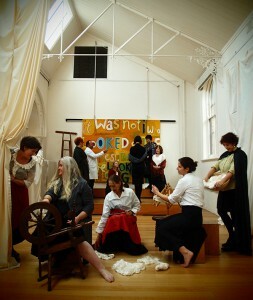 Several tapestry workshops have been held to give enthusiastic participants the basic skills required to contribute to the project and, in the spirit of open inclusion, all weavers will have their names attached to the back of the tapestry, acknowledging their involvement in this historic community event. It is pertinent that the ANU, as one of the very few remaining universities in Australia to teach tapestry, should be supporting this project. Since 1991 Kirk has been Head of Textiles at the School of Art and through her sheer determination and exceptional organisational skills has been able to maintain a constant focus on tapestry within the School at a time when many of the craft based disciplines in the Universities are in decline. (10) She has regularly brought tapestry weavers from the UK, Europe and Japan to participate in the School’s artist in residence program and her organisation of the event Tapestry 2008, which included a series of exhibitions and a symposium, brought together participants from around the world. Twenty years since the Melbourne Tapestry Symposium the need for discussion within an international context was palpable. Questions about the position of tapestry within a fine art context were at the fore. Then, as now five years later, many visual artists were working across a range of material and spatial practices, rather than engaging in just one discipline, and artists working in woven tapestry continue to be no exception to this shift in focus. As Kay Lawrence has recently stated, ‘Rather than working only in woven tapestry I work with other media and processes pertinent to the ideas I wish to express, but all are informed by textiles.’ (11) This is particularly evident in Lawrence’s installation No work for a white man which uses mother of pearl buttons to talk about the exploitation of Asian divers in the Kimberley pearl shell industry. Daniel Edwards and Charlotte Haywood, both recent graduates, describe themselves as installation artists who use textiles to explore elements of culture, technology and gender. Another major shift that has become apparent in the visual arts is the increased concern with the environment and ecological issues. 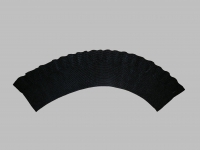 In this exhibition Dorothy Clews and Hilary Green are both represented by works which examine the engineering of the natural world. Reacting to our need to prepare for dry times, Clews, a resident of South West Queensland, comments on the damming of rivers and the conflict established between human’s needs and the preservation of the ecosystem. Green, who lives in rural Tasmania, bemoans the loss of microscopic worlds through the felling of plantation timber, and of heirloom vegetable cultivars lost to the mechanisms of industrial mass agriculture. Tapestry as a mnemonic object is the perfect receptacle in which to embed narratives of our lives, whether inherited, experienced or dreamt, and as a country of migrants it is no surprise that many Australian weavers reflect on their family histories, through memory and their experience of living in two worlds. Cresside Collette combines the lush, verdant landscape of Sri Lanka, her birthplace, with the arid spaces of Australia and Scottish born Valerie Kirk uses the image of a fish to symbolise moving between places. In my own work I draw upon my family’s links with Sri Lanka and the material culture that has travelled between Britain, Sri Lanka and Australia. In her series of tapestries Lineage, Kay Lawrence uses the image of the folded tea towel to acknowledge the daily domestic tasks that link the lives of women across generations. 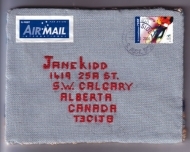 Joy Smith, who is known for her witty, postcard like small tapestries has recently documented items in her father’s shed. The fondly remembered Tool set, now in the possession of her brother, becomes hers in woven form. In 2011 Smith was awarded The Kate Derum Award for Small Tapestries. The international Award was established to honour Derum’s enormous contribution to tapestry in Australia, as an educator, artist and Deputy Director of the ATW, who died in 2008. Her former students, Mardi Nowak and Hilary Green, both speak of the profound impact that she had on their way of working, seeing and thinking. 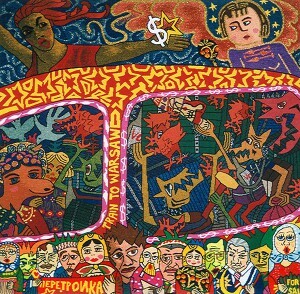 Redolent of Derum’s approach to image making there is a loose immediacy to Nowak’s tapestries that comment on popular culture. 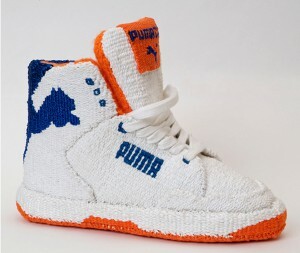 Along with Emma Sulzer’s three-dimensional renderings of the all-pervasive sneaker, these young artists speak directly to their generation. 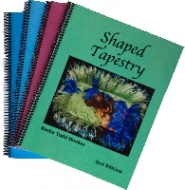 As I write, small, personal tapestries arrive daily at the Workshop from all over the world for the 2013 Award. A major tapestry is on the loom, soon to hang in a prominent position in Melbourne’s State Library. Cheryl Thornton divides her time between making exquisitely fine, miniature tapestries and these large public works. (13) Young artists in residence, working in a variety of disciplines, are inspired to learn how to weave or to produce new work that pays homage to the eternal role of the weaver. Known for her knitted sculptures, Melbourne artist, Kate Just, has re-interpreted the famous Velázquez painting, The Fable of Arachne (Las Hilanderas), in digital form. 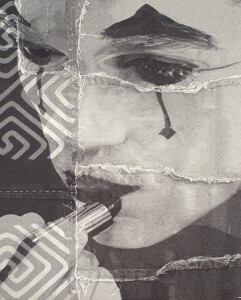 Down south, tapestry is alive and well – making itself known in a myriad of different ways. (1) Diana Wood Conroy, Texts from the edge (exhibition catalogue), Jam Factory Craft and Design Centre, Adelaide, 1995 pg 1. Republished in The Textile Reader, ed. Jessica Hemmings, Berg, London and New York, 2012 pg 23. (3) Belinda Ramson, Kay Lawrence and Cresside Collette studied at the Edinburgh College of Art. 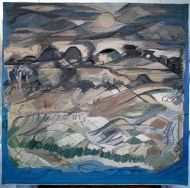 Diana Wood Conroy learnt tapestry in London. 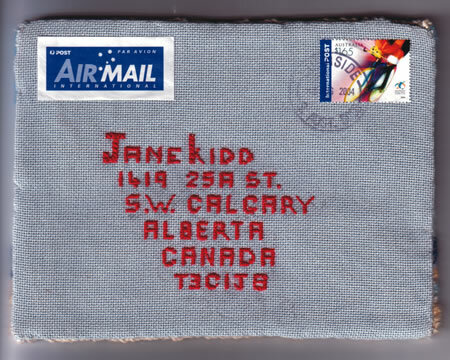 Valerie Kirk also trained in Edinburgh and London before migrating to Australia. My first introduction to tapestry was by a Latvian master weaver, Lilja Duks, at the Melbourne College of Textiles. Further training occurred with Belinda Ramson at a workshop run by the Crafts Council of South Australia and as founder weaver at the Victorian Tapestry Workshop. (4) Of the 21 weavers represented by images in this exhibition 11 have worked as weavers at the ATW. (5) Diana Wood Conroy, Texts from the edge, page 2. 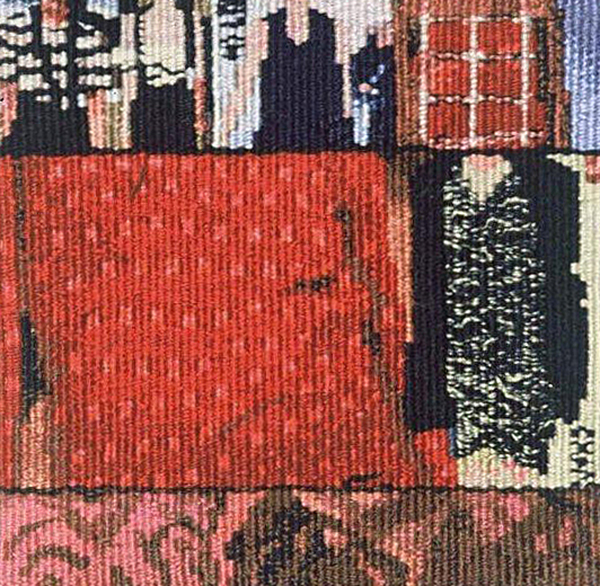 (6) Kay Lawrence, Reflections from the Field…The Artist-Weaver and the Community, About Time, Australian Studio Tapestry 1975-2005 (exhibition catalogue), Ararat Regional Art Gallery, 2010. (7) Kay Lawrence, Suffrage Tapestries in Alison Bartlett and Margaret Henderson (eds), ‘Things That Liberate: An Australian Feminist Wunderkammer’, Newcastle upon Tyne, Cambridge Scholars Publishing, pg 178. (10) In 2007 Monash University closed the only tapestry department to have existed in an Australian art school. Established in 1990, and run by Kate Derum for 11 years, it provided training for many of the ATW weavers and others, who speak of the benefits of being immersed in the University’s Fine Art Department. 2011 saw the removal of tapestry from the diploma course at the Royal Melbourne Institute of Technology and in 2012 the closure of the textiles studio at the South Australian School of Art. (11) Kay Lawrence in conversation with the author, July 2013. (12) Diana Wood Conroy, Breathing Space, Liz Jeneid, Diana Wood Conroy (exhibition catalogue), 2010 Wollongong City Gallery. (13) ‘There is a distinctiveness to the use of the tapestry language in Australia. In Europe and the US there’s much more of a focus on techniques like hatching when creating a tonal or colour transition. In Australia this seems to be done very subtly and effectively with colour mixing on the bobbin. Also there’s a real refinement and eloquence in the use of tapestry by weavers like Cheryl Thornton and yourself (Sara Lindsay) which I think is quite distinctive.’ Kay Lawrence, in conversation with the author.